To troubleshoot some problems in Windows, users must perform clean boot. But, How to do it? This article contains all of these answers. When you turn on your Windows computer, it also loads some programs and services during startup. If any of these contains any problem, it may affect your normal experience with Windows. Even, It may create critical errors on your PC. So, To troubleshoot any unusual problem, one may need to boot into clean boot state. What a Clean Boot Mean? When You Need it? It is a common question. 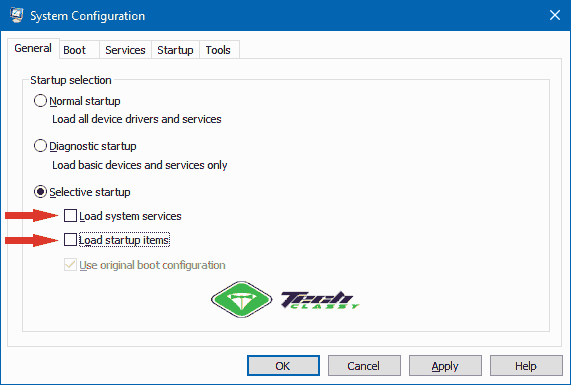 A clean boot makes sure that there is no third-party programs and services to be launched automatically during startup. A clean boot means a clean startup without any third-party services. So, Only basic windows functions remain active in this boot mode. When you face any problem but can’t find the actual reason, you will need it. Specially, When you encounter blue screen of death errors, the clean boot can be a very useful way to troubleshoot it. Unfortunately, Many people don’t know the actual procedure to do it though they have already heard about it. Well, It is very easy to perform. You can just follow these easy steps. If you already don’t know how you can open system configuration, at first, Open RUN. To do it, press Win + R on the keyboard. Now, Type msconfig and then hit enter or click on OK. It will open the system configuration window. When you open system configuration window, you should be at the General tab by default. 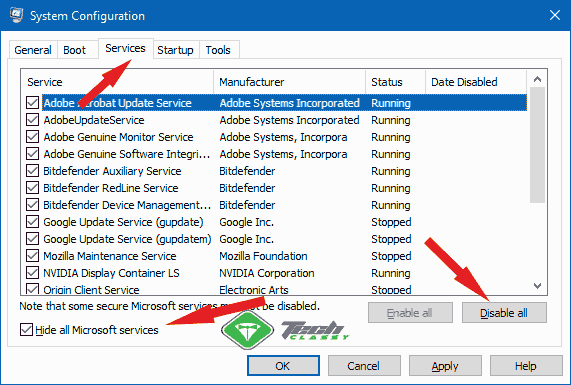 From there, choose “Selective Startup” and uncheck “Load startup items.” But, Make sure that the “Load system services” remains checked. It will make sure that during next boot, Windows won’t run any startup items and it will only keep active the basic system services. Then, Click on Apply and OK, and Restart your computer. Now, Your PC will boot itself in clean boot state. There, You will only find the basic services are active. No third-party services will hamper you. If you see you are not encountering any issue in clean boot state, it means one of the third-party services is bugging. You should find it out and uninstall the related program to get rid of your problem. It is very simple. Just undo the changes. I mean, Just open system configuration again, select Normal Startup from the general tab and enable all services from services tab. Then, Restart you PC. That’s it. Now, You are in normal boot mode. Well, It is a very easy process. In clean boot mode, To find out the culprit, you will need to open System Configuration like the step 1. Then, Go to the services tab and enable the third-party services one by one. Make sure you restart your PC everytime you enable one. When you activate the problematic service, your PC will show you the error/problem that you were encountering. Just uninstall that service-related program from your PC. By this way, You can find out the problematic services. But, How can you find problematic startup items? Well, It is also very easy. Make sure you are in normal boot mode. 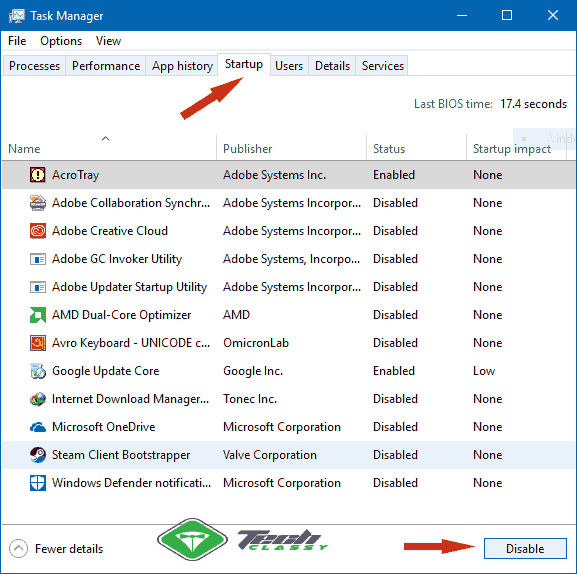 Then, Right click on the taskbar and choose “Task Manager.” In the task manager, go to the startup tab. Now, Disable all startup programs. Then, Restart your PC. After that, Enable the startup items one by one to find out the problematic item. So, You have already learned how easy is to boot into clean boot state. Hopefully, This article will help you in many ways.